TSI Alnor Instruments Distributed by FLW, Inc.
FLW, Inc. is a proud distributor of TSI Instruments product for over 20 years. We are TSI Alnor's LARGEST stocking distributor in the United States with stock of common balometers, velometers, anemometers, & more. 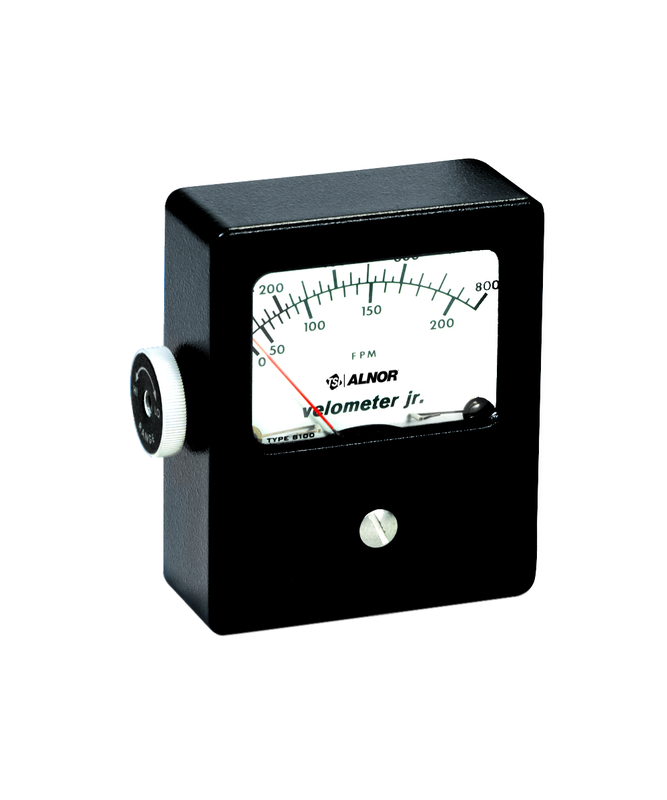 TSI manufactures high-quality Alnor® air velocity equipment. 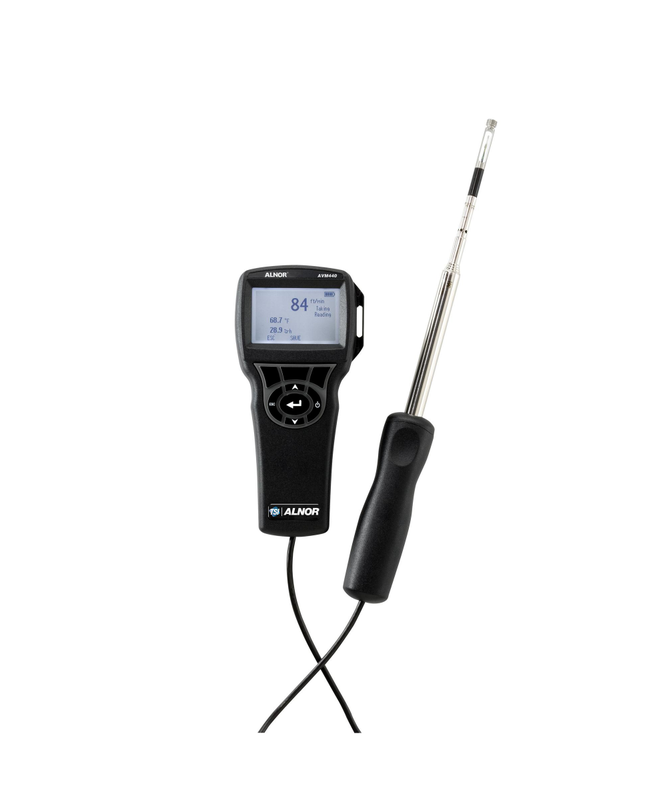 The Alnor brand of handheld instruments is widely used by HVAC contractors, facility personnel, building engineers, safety officers and industrial hygienists worldwide. Please contact FLW, Inc for application or commercial assistance for any TSI Alnor product. FLW proudly carries a large inventory of TSI Alnor product. In addition, we have TSI Alnor product specialists and engineers with application engineering expertise that you won't find anywhere else. 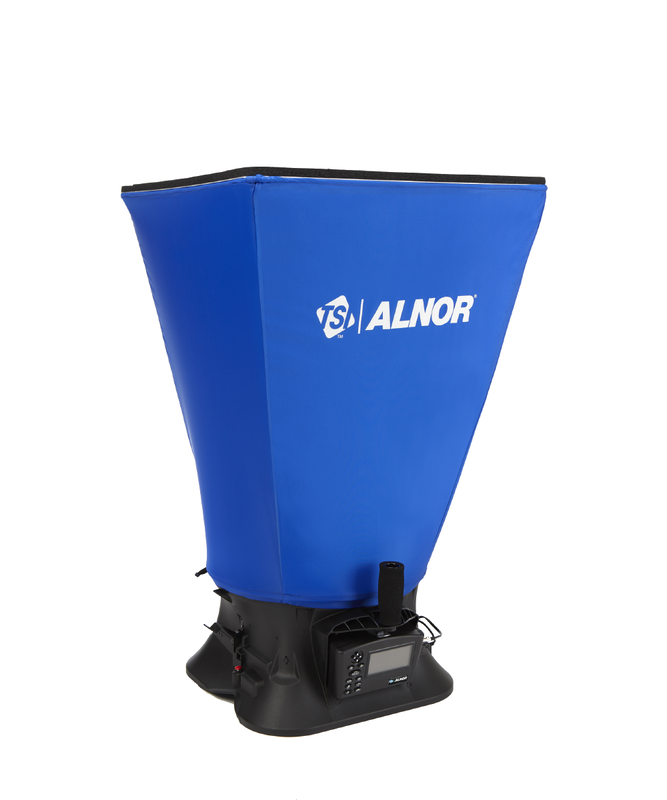 By placing an Alnor® ABT Balometer® Capture Hood over a diffuser or grill, you can measure air volume in order to balance buildings and verify air flow distribution. The easily observed trend values and fast meter response make the ABT Balometer hood the preferred instrument for facility engineers. 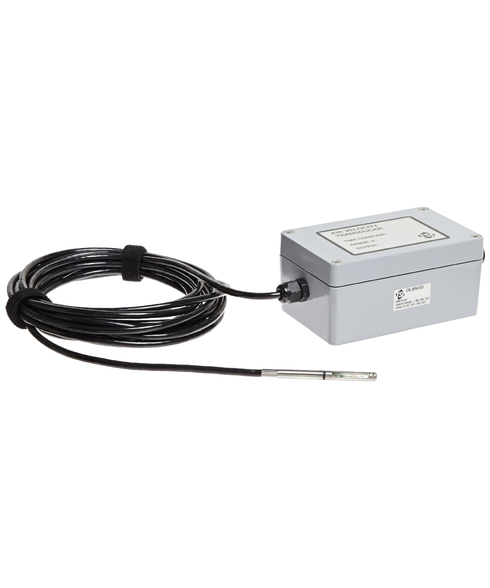 The EBT731 Balometer® Capture Hood is a multipurpose electronic air balancing instrument primarily used for efficiently taking direct air volume readings at diffusers and grilles. It features a detachable micromanometer which can be used with optional probes for increased flexibility in multiple measurement applications. Offering durable, trouble-free operation, this lightweight, ergonomically designed capture hood kit saves time and money by combining multiple measurement tools into one package. The EBT731 Balometer® Capture Hood helps you create healthy and energy efficient environments while meeting local codes, guidelines and regulations for ventilation systems. The LoFlo Balometer® Capture Hood is the ideal way to measure very low volumetric flow. Measure (supply or return flows) confidently and accurately from 10 to 500 cfm (17 to 850 m3/h). This light weight instrument is great for residential or light commercial use. Easily observed trend values and fast meter response make the LoFlo Balometer® Capture Hood the preferred tool of residential air balancers. The simple-to-operate Alnor® Velometer® Thermal Anemometers are like having multiple meters for the price of one. The thermoanemometers are available with a straight or articulated probe-all in one compact package. Ideal applications for these thermoanemometers include HVAC system performance, commissioning, plant maintenance, critical environment certification and duct traverses. The Alnor® Rotating Vane Anemometers measure air velocity, air volume, and temperature in imperial or metric units. The 4-inch (100mm) head automatically averages velocity and volume readings, making them essential tools for measuring unevenly distributed or fluctuating flows through heating and cooling coils, diffusers, grilles, and filters. Alnor® Rotating Vane Anemometers are ideal instruments for HVAC commissioning of grilles and registers. 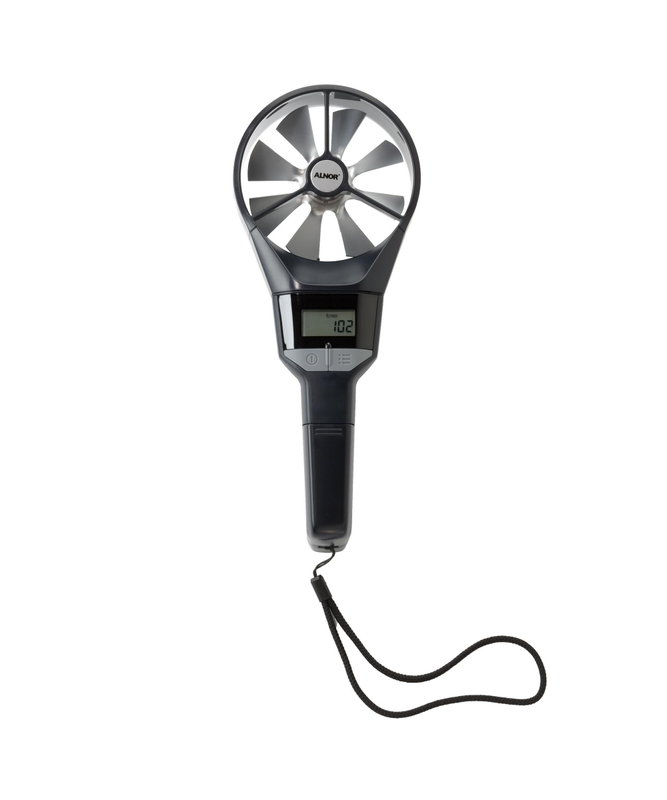 The Alnor® Velometer Jr.® Anemometer is a direct reading air velocity measuring instrument. This precision instrument is ruggedly built and will serve for many years if given reasonable care. You can use this instrument to measure air velocities from grilles and registers and to locate drafts. 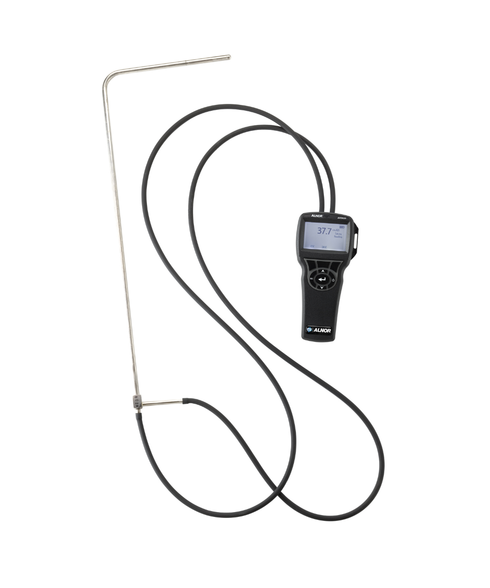 Balancing of a domestic heating installation is made simple when using the Alnor® Velometer Jr.® Anemometer. Hold the instrument so the air blows directly into the calibrated orifice and read the velocity as indicated by the pointer. TSI's Air Velocity Transducers measure velocities using thermal anemometry. Three distinct sensor types provide flexibility with wide dynamic ranges for accurate measurements. The durable Model 8455 general-purpose probe and the Model 8465 windowless probe deliver high accuracy with a fast response for a variety of applications. The omnidirectional Model 8475 offers accurate measurements at low velocities and is ideal for varying flow direction. All versions come with user selectable ranges and output options. 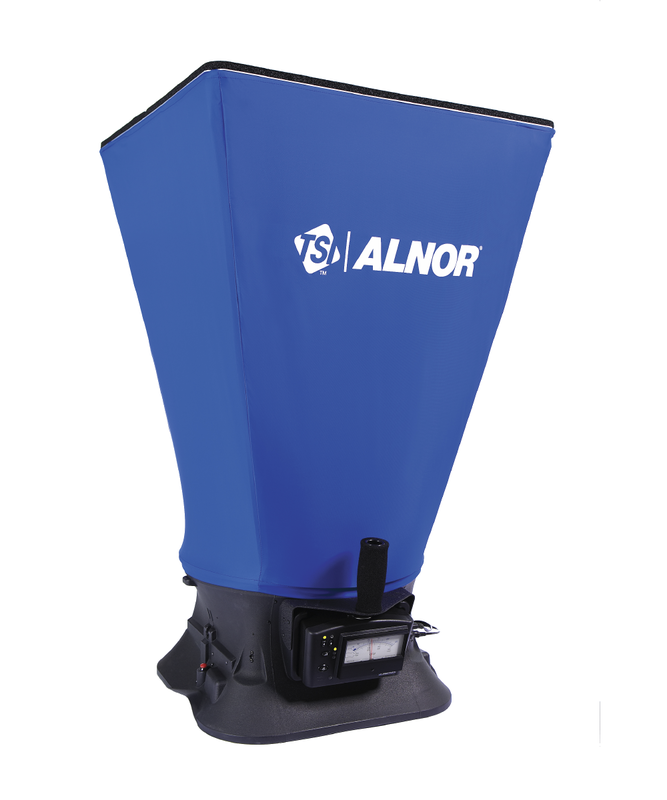 Alnor® AirGard® Air Flow Monitors measure the exhaust of bio-safety cabinets and other hoods using a remote probe inserted in the air flow stream of the exhaust duct. The AirGard 350CEM and 315BSC Air Flow Monitors continuously monitor and indicate air flow levels in critical environments. 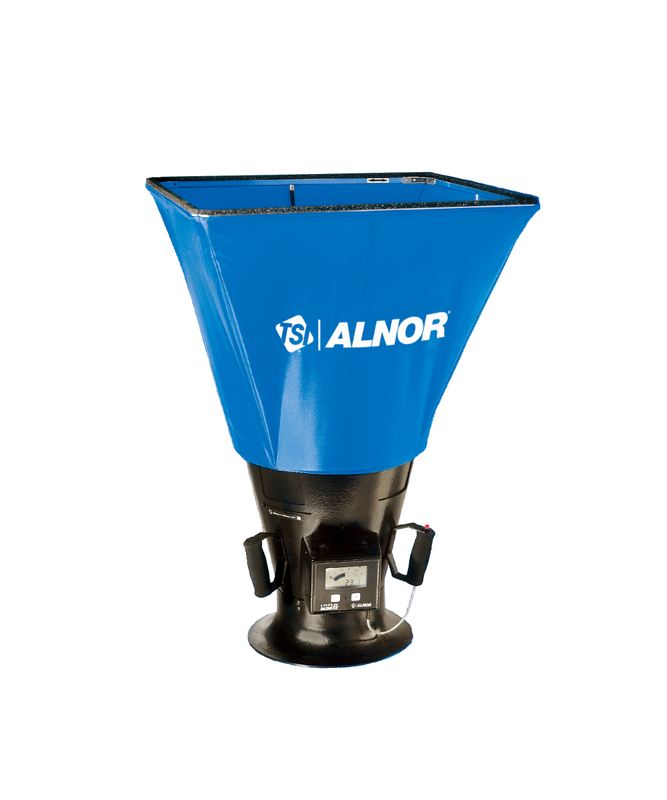 Both models of Alnor air flow monitors feature wide velocity ranges to accurately measure air flow across HEPA filters or in exhaust ducts. Alnor® AirGard® Lab Hood Monitors indicate safe levels of air flow in laboratory fume hoods. The 200, 335 and 405 Monitors are used to measure and report on exhaust flow in many critical or controlled indoor environments, including pharmaceutical and university laboratories. The AirGard 200 and AirGard 405 Monitors are simple, low-cost options for your monitoring requirements. 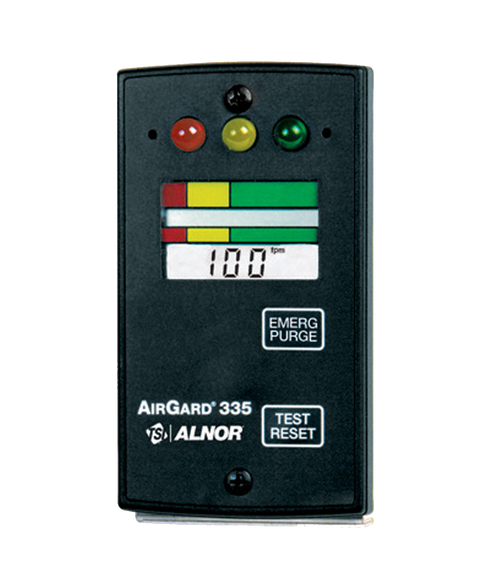 The AirGard 335 provides the same reliable measurements with added features that make it more versatile. All models of Alnor fume hood monitors are easy to install, making them an excellent choice for both new installations and retrofits. 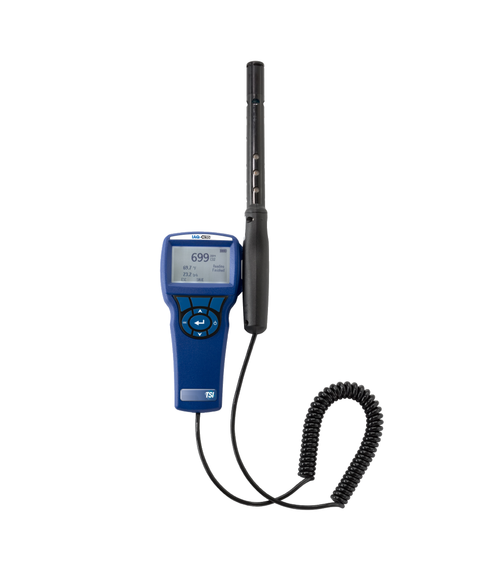 The Alnor® Micromanometer AXD610 is an easy to use, handheld digital micromanometer for fast, accurate and reliable pressure measurement. It can also calculate velocity. The Alnor AXD620 is a rugged, compact, comprehensive micromanometer that measures pressure and calculates velocity and volumetric flow rate. It can be used with Pitot tubes to measure duct velocity and then calculate flow rates with user-input duct size and shape. Premium features make it ideal for HVAC, environmental safeguards, commissioning, process control and system balancing. 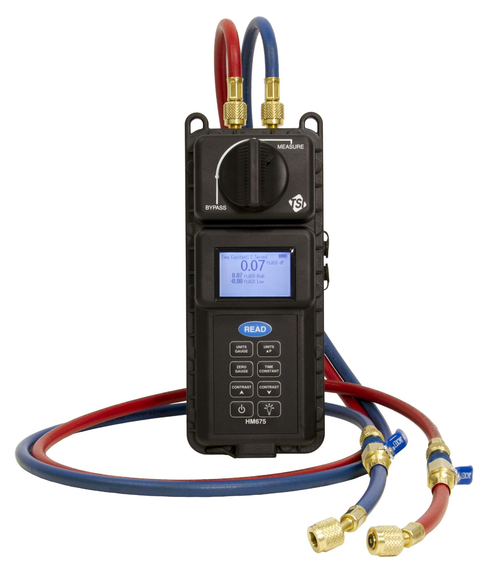 The HM675 and HM685 Hydronic Manometers are used to balance hydronic heating and cooling systems, check pump performance and to set balancing valves. They can measure and display differential, high side and low side pressure simultaneously, without having to change hose connections or instrument valve settings. Each model features a backlit display and operates on four alkaline or NiMH rechargeable batteries. Work environments, as well as homes and businesses, often require that people spend a majority of their time indoors. As a result, individual's long-term health and comfort are largely dependent upon indoor air quality testing. Businesses are increasingly interested in air quality monitoring systems to keep an eye on the conditions that maximize worker productivity and save energy. 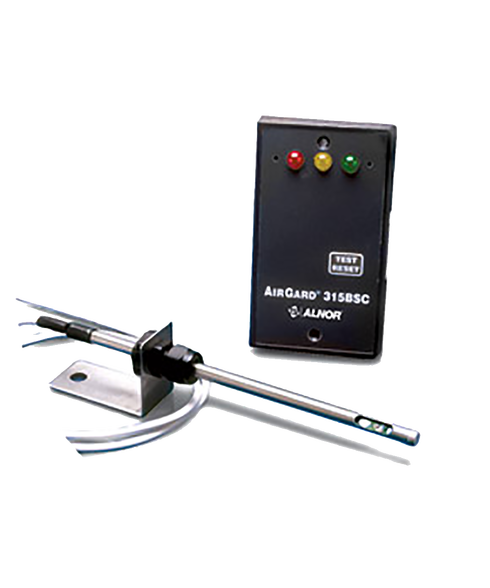 To meet these needs, TSI manufactures a line of effective indoor air quality (IAQ) instruments known for their easy use, consistency and reliability.